★★★★☆ Works as intended. Not a feature-rich device. 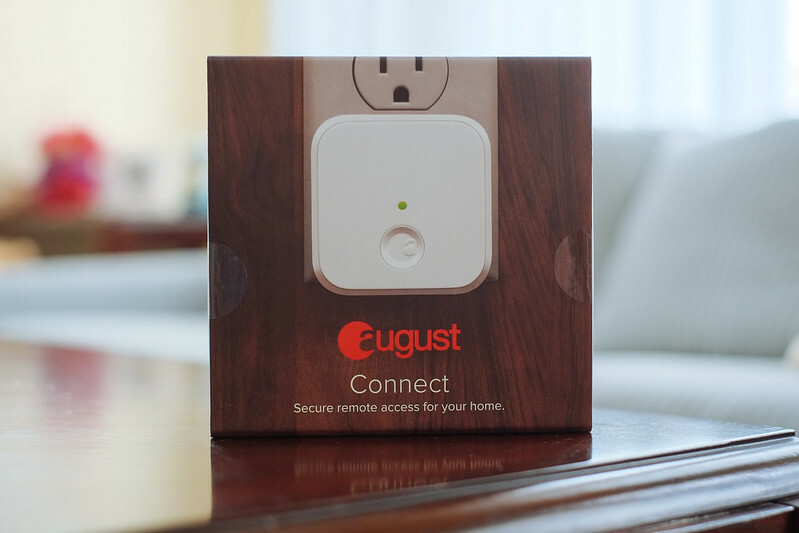 August Connect is a device that allows you to remotely connect to and control the August Smart Lock. 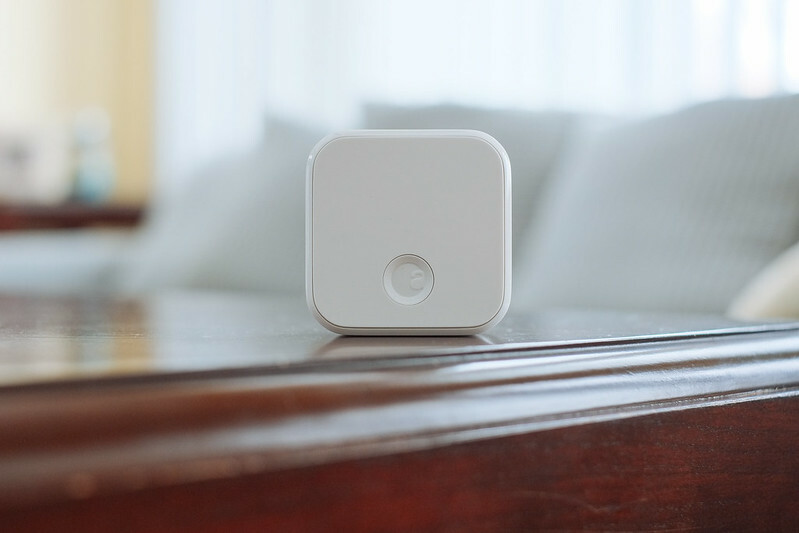 It bridges your Wi-Fi connection and August Smart Lock’s Bluetooth connection. Without it, you can only connect to the August Smart Lock via Bluetooth. I’ve been using the August Connect with my August Smart Lock for 3 months now, and here’s my review. 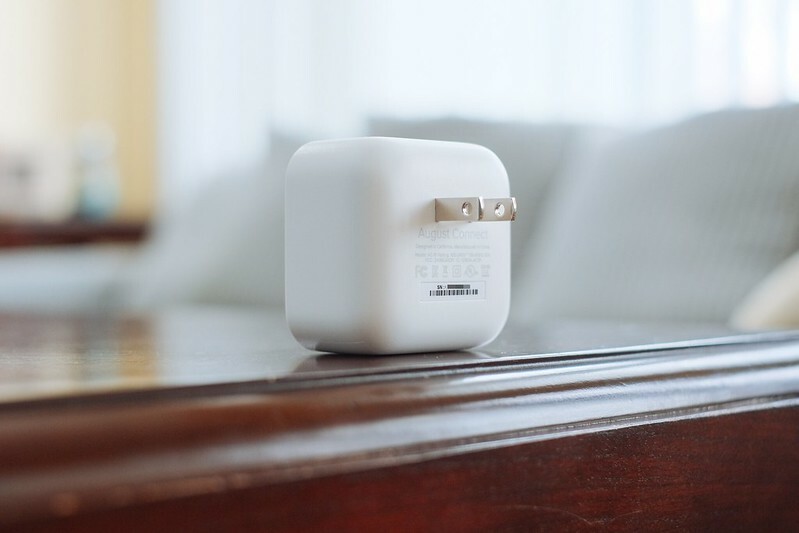 The design of the August Connect is simple, clean, and inconspicuous—even if it’s exposed, it should look great plugged into a wall. Unlike the August Smart Lock, it only comes in one color: white. Setting up the August Connect is easy. Plug it into a wall socket near your August Smart Lock, then wait for a flashing green light under the button. 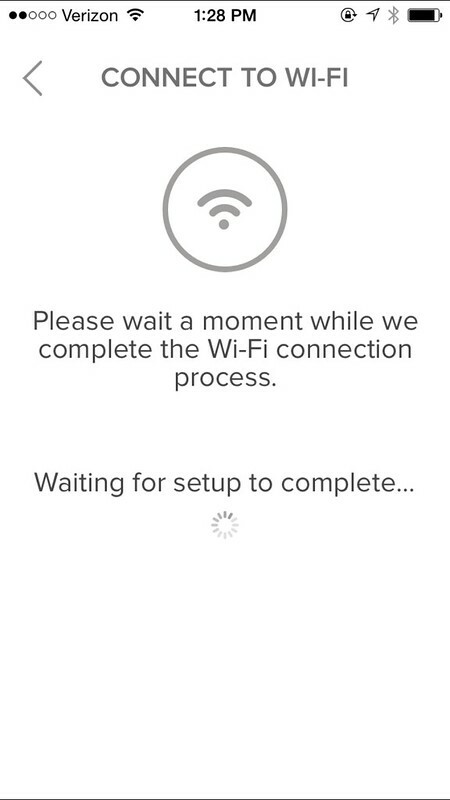 Then in the August App within Lock Settings, select “Connect to Wi-Fi” and follow the instructions. 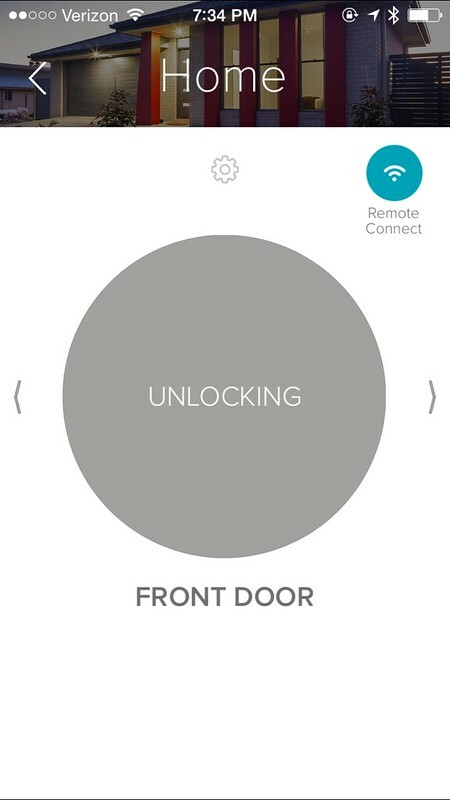 Once it’s connected, you can begin to control the August Smart Lock remotely from within the August app. August states that August Connect can be within 30 feet of your August Smart Lock but recommends that it’s within 15 feet for optical performance and reliability. The August Connect works like it’s designed to, and I haven’t encountered many issues with it. Since I’ve owned it (February 2015), I’ve only had to restart it once because August Smart Lock failed to properly connect to it. Locking, unlocking, and checking the status of August Smart Lock is pretty straight forward. You’ll notice a new icon labeled “Remote Connect” on the top right of the lock status screen. Toggle it on (highlighted teal) to tell August Smart Lock to connect via August Connect instead of Bluetooth. 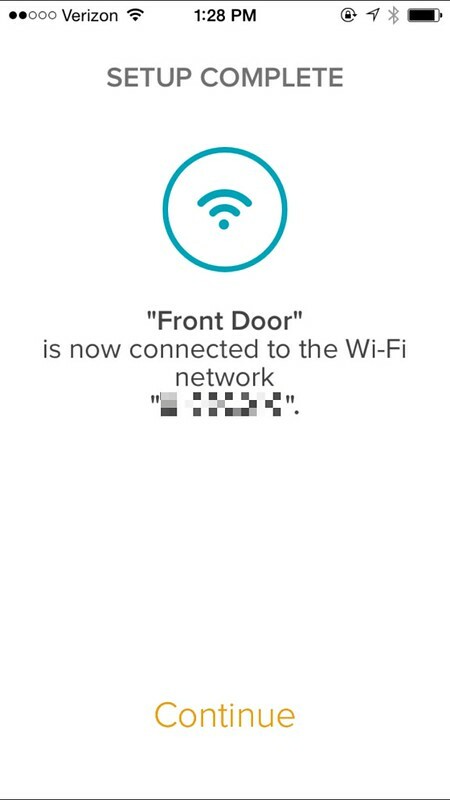 When you perform a lock/unlock over Remote Connect, the status doesn’t change in real-time like it does when you’re connected via Bluetooth. As you lock/unlock, the status will change to “Locking” or “Unlocking” as it’s performing the action. 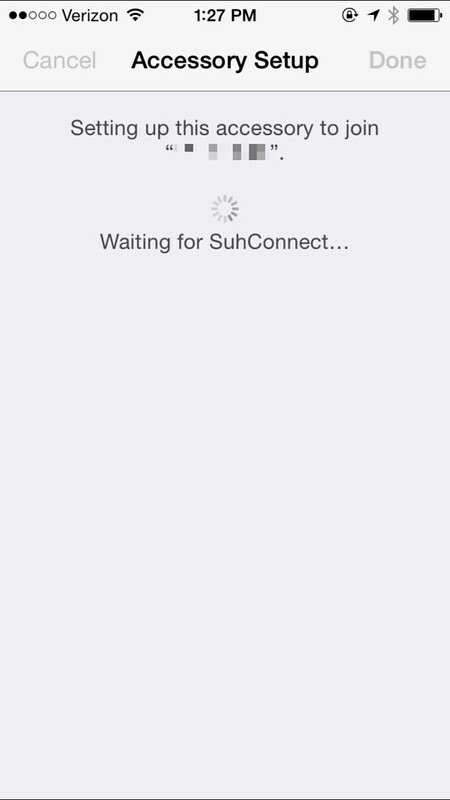 Once the action is complete, it’ll show you the updated status. Remote Connect also becomes an alternate way of connecting to your August Smart Lock in the event Bluetooth isn’t cooperating, which happens often enough. Locking, unlocking, or checking the status of the lock isn’t instantaneous—it usually takes a few to several seconds. I wish it was quicker, but the main purpose is to allow me to connect and control it remotely; therefore, a few seconds is negligible. 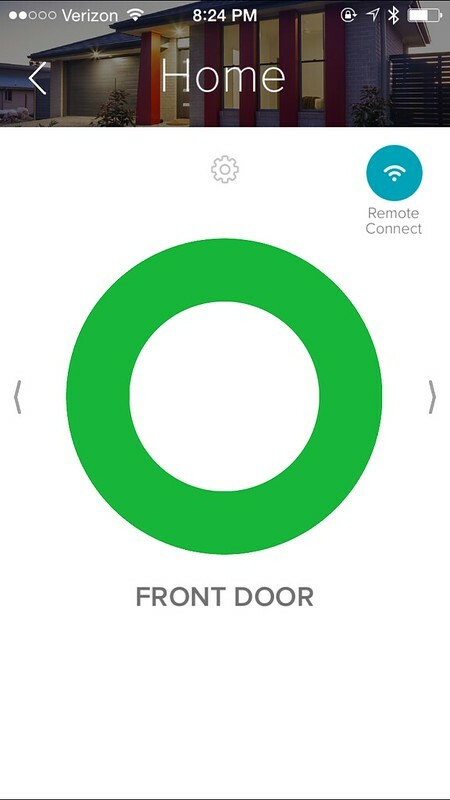 You can connect more than one August Smart Lock to one August Connect; however, assuming your locks are far enough apart that both would not be close enough to properly connect to the August Connect, you’d probably need an August Connect for every lock you’d want remote access to. The one thing lacking about the August Connect and August Smart Lock is the inability to communicate and talk to other devices, ecosystems, or applications—August Smart Lock only talks to Nest Thermostat, and even then the integration is limited. It’d be wonderful, for example, if you could add August Smart Lock on IFTTT as an Action based on a Trigger, and have it perform an action remotely via August Connect. (e.g. You’re having a party on July 1, 2015. At 5:00pm, automatically unlock the front door.) My hope is that both August Smart Lock and August Connects open up and allow more third-party integration. The ability to connect to and control the August Smart Lock remotely is a much-needed feature for a smart lock. It’s a bummer that you need a separate device just for that feature, but for that alone, I think it’s worth the investment (if you own an August Smart Lock). Other than that, there’s not much to say about the August Connects since it’s not a feature-rich device and doesn’t add a ton of extended functionality to the August Smart Lock. 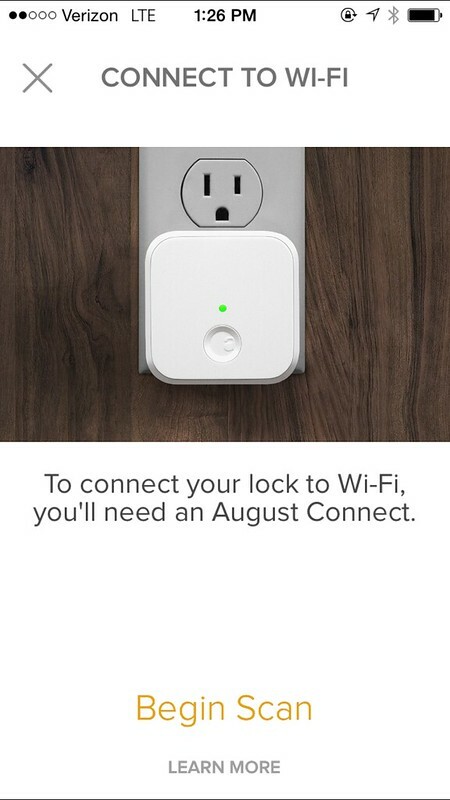 There’s a lot of potential though, especially if both the August Connect and the August Smart Locks open up for third-party integration. The August Connect costs $49.99 and can be purchased from August.com or Amazon.com. 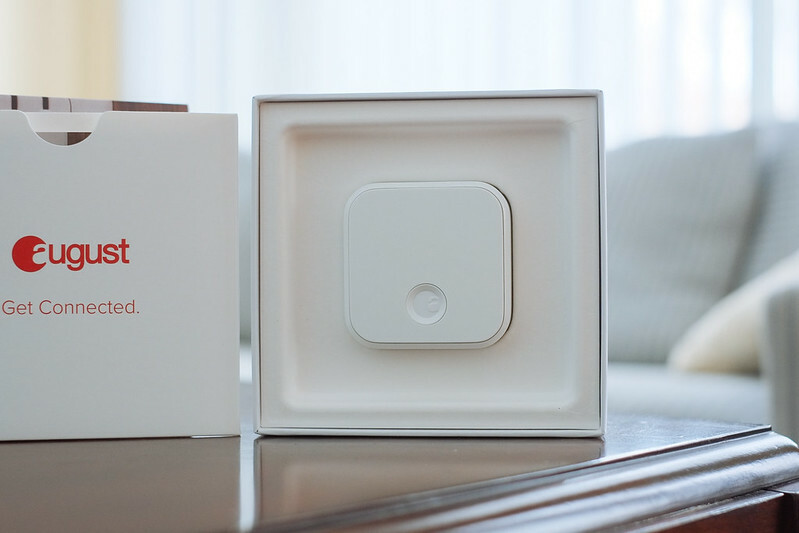 Its companion, the August Smart Lock, costs $249.99 and can be purchased from August.com, Amazon.com, Apple.com or at your local Apple store.